Prof. Dominick Armentano has replied (below) to my post, Trump is a Disaster: A Rejoinder To Prof. Dominick Armentano. I will respond tomorrow. The general flaw in your comments on my original article is that in your criticism of Trump, you are implicitly adopting what Harold Demsetz used to call the “nirvana standard”. In antitrust theory, the nirvana standard is “perfect competition” and real world competition always falls short of that standard (and needs regulating according to critics). Your nirvana standard is pure liberty, and Trump is criticized because his SC nominees or tax cuts or rhetoric, falls far short of liberty. No kidding. But that’s emphatically NOT the issue to be debated (just as whether markets are perfectly competitive or not is really irrelevant to any rational discussion of antitrust policy) The public policy issue to be debated, instead, is whether Trump’s policies are worse, from a liberty perspective, than Clinton’s would have been or would be going forward had she been elected. 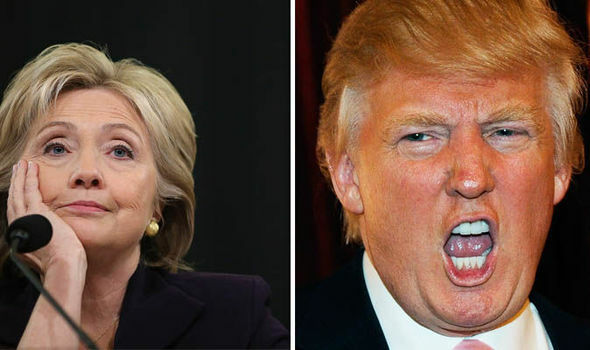 Both Clinton and Trump stink but who stinks worse and would stink worse going forward? I can’t possibly offer a rejoinder on everything you assert. Sometimes you and I agree; great. Sometimes we disagree but only slightly; I’ll let that go. Putting those points aside, let me comment on several important areas of intense disagreement: your discussion of SC nominees, tax reduction, and who may or may not have killed the liberty movement. exemplified by “their own judges of the New Deal era.” Liberal jurists of that period advocated near-total abdication of judicial enforcement of limits on federal power. Their position was badly misguided, and utterly at odds with the originalist approach to constitutional interpretation that Gorsuch himself has advocated elsewhere. In short, supporting these two choices is a type of Constitutional roulette. Something may come up on the Court's docket where they will rule in favor of liberty, But on important issues, thatare likely to come before the Court, such as privacy and government surveillance or the willingness to support Congressional experimentation with social policy, Kavanaugh and Gorsuch are all too clear that they will be horrific. should take pen to paper and attack them whenever we can and warn about their potential for very dangerous rulings. Bob, you are constantly missing the point here and I’m not sure why. No libertarian is “supporting” these nominees! And certainly no libertarian like me is “cheering them on”. These are “straw man” arguments that have no place in a debate between libertarians over public policy. Of course the SC choices were “horrific” and no libertarian would support them. But we did not and are NOT supporting them! The ONLY issue which you must refute (somehow) is that these two choices, horrific as they were, are somehow worse, on balance, than the nominees from, say, a list drawn up by Clinton and Pelosi and Schumer. Did you do that? No. You simply asserted that Clinton’s choices “would probably be just as bad” without making any argument on why you believe that. Let’s adopt a “reasonable man” standard: Are we likely to get worse (liberty perspective) candidates from the Federalist Society or from the ADA? And if you say you can’t decide, then I give up. Again, you are (purposely) missing the point. So from a libertarian perspective, we ought never to support any cut in taxes until and unless we get spending reductions? Are you serious? (Rothbard is spinning in his grave!) Look, both Clinton and Trump would have increased spending; that’s a given political reality. But with Trump, some taxes were reduced. That’s the choice, my friend. And you are telling me that there is no clear edge to Trump here? Nonsense. You say it can be argued, at the margin, that Hillary would have been worse than Trump. EXACTLY, and that’s just what I’ve been arguing. Imperfect v. imperfect BUT who is likely the MOST imperfect at the margin in terms of public policy, past and prologue. I say Clinton and I see no reason to change my mind after reading your comments. You say Trump killed the liberty movement. Really? What movement was that, pray tell? It was alive and well during 8 years of Obama but Trump suddenly killed it? Come on, Bob. And as for the “kids” turning to socialism that’s, of course, nonsense, since they have no idea what socialism is. The kids are turning to progressivism, to more government regulation and interventionism in private lives and markets and they have been doing this for some time. Little wonder since they have been indoctrinated since grade school that capitalism pollutes, causes income inequality, etc and these views are validated daily in college classrooms and by the mainstream media talking heads. Indeed, as you must know, these ideas have been festering for decades. It can be agreed that Trump has done little to change this (he has no clue) but Hillary (with her Saul Alinsky training) would have gone further and advanced and legitimized all of this, and more. And that would have been far worse for the cause of liberty in my judgment. Two musings on points not discussed in this exchange. First, if Clinton had won, I wonder if there would have been the same, idiotic anti-Russian rhetoric coming out of DC, which is quite dangerous, given the stupidity of increasing conflict with another nuclear power. While I understand that the neocons and MIC like to stoke things in this area, I can't help but wonder if it might have been a few decibels softer. Second, one silver-lining from Trump's election is that the Progressives are openly talking about nullification (e.g., sanctuary cities, marijuana), secession (e.g., Calexit), and the illegitimacy of the presidency. Some of them are starting to sound refreshingly federalist. I have one Progressive friend who has been anti-gun his whole life, but who is now thinking that he might purchase a firearm for, shocker, self-defense! He is also now advocating for breaking up the US into five separate nations. Yes, it's entirely possible that this talk will disappear once the Progressives get their preferred biological unit elected in 2020, but in the meantime it may help promote some pro-liberty discussion and tools.